What are we doing to enable the Future of Work? Last year we attended the O’Reilly Next:Economy Future of Work conference. 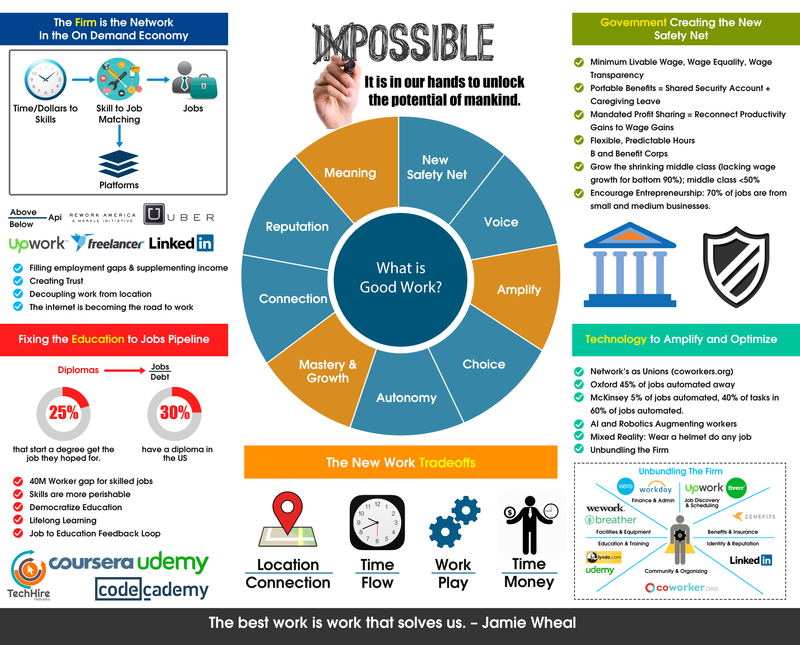 The above image describes how we see the Future of Work in one slide. We also did the best summary of last years Next:Economy conference here. Definitely check that out!! So what are we doing about the Future of Work. We are helping people reach their potential through 10x doing, 10x growth, 10x creativity, and a 10x mindset. Checkout the Potential book and the service that implements the book Karmas.